In Portland: A New Kind of City I, I argued that if Portland is to achieve some of its other policies in the Watershed Health and Environment chapter of Working Draft 1, Portland Comprehensive Plan, policies such as Biodiversity and Habitat Corridors, it is important for any policy on Vegetation to stress the importance of NATIVE vegetation–in part, because native species of insects, the base of the food chain, need native plants to survive. I want to now draw your attention to policies under the “Design With Nature” section of the Urban Design and Development chapter–one of the sections with the greatest potential to lead to transformational design and a new kind of city. Policy 5.45 Greening the built environment. Encourage the incorporation and preservation of large healthy trees, native trees, and other vegetation in development. 5.45.a. Prioritize integrating natural elements and systems, including trees, green spaces, and vegetated stormwater management systems, into centers. Change Policy 5.45 and 5.45.a. to: 5.45 Encourage the preservation of existing large healthy trees and encourage the incorporation of native trees and other native vegetation into development. 5.45.a. Prioritize integrating natural elements and systems, including native trees, natural areas, and stormwater management systems utilizing native vegetation into centers. 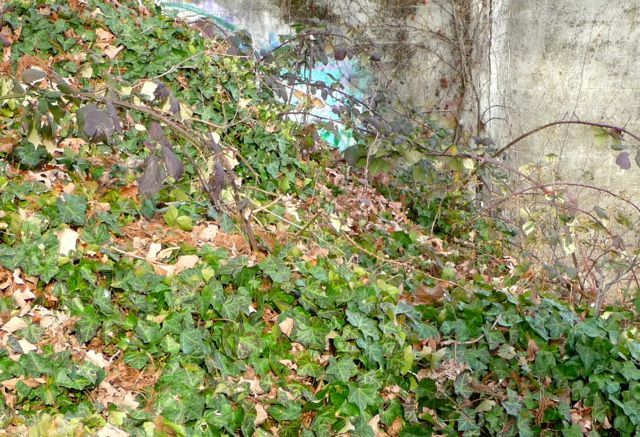 Invasive English ivy and Himalayan blackberry growing along the Willamette River in February this content. Green is not always “green”! My further comments on Policy 5.45: “Greening the built environment” should make clear that green is not always “green”. We have a number of trees and vegetation that actually threaten watershed health and community livability rather than benefit it. This policy needs to be more explicit on what is green. I realize that with global warming, plant zones are changing. That doesn’t mean that we should be welcoming more alien ornamentals from all over the world. Rather, we might monitor the robustness of our native species and possibly look to bring in more species from areas of southern Oregon or northern California. Policy 5.46 Commentary: (Policies in the Working Draft have commentaries on the left pages) Habitat and wildlife‐friendly design, promotes development that integrates green infrastructure, habitat‐and bird‐friendly design, and the use of appropriate, NON-INVASIVE PLANTS (emphasis mine) for pollinators. . .
Change to: Habitat and wildlife‐friendly design, promotes development that integrates green infrastructure, habitat‐and bird‐friendly design,and the use of native plants for pollinators and other native wildlife species. 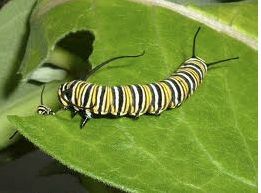 The larvae of native insects need native plants to survive. scientific studies (including his own) to show that even if some of our adult native insect species can use alien ornamental plants, their larvae cannot. Insects need NATIVE plant species to procreate the web of life. Since our native insects are the base of the food chain for birds and many other species of wildlife, they need native plants too. You need to define habitat, at least in part, as native vegetation—in both the commentary and the policies. Policy 5.46. Habitat and wildlife-friendly design. Encourage habitat and wildlife-friendly neighborhood, site, and building design.
. . . 5.46.b. Encourage the incorporation of habitat into landscaping, sustainable stormwater facilities, and other features of the built environment. Change 5.46.b to: In order to provide habitat, encourage the incorporation native vegetation into landscaping, sustainable stormwater facilities, and other features of the built environment. Louv points out that all plants are not the same in their ability to support food webs. All plants are not the same. Unfortunately, all plants are not equal in their ability to support food webs. Food webs develop locally over thousands of generations, with each member of the web adapting to the particular traits of the other members of the web. I also request that Portland add a definition of habitat in the Glossary that includes native vegetation. I’m really not a one horse planner. I really care about so many other aspects of urban design and development. But I feel that it is so vitally important that Portland planners and designers recognize the importance of native vegetation in achieving the City’s goals. Unfortunately, such recognition does not appear to be the case at present. The landscape features along central Portland’s portion of the Willamette River are currently filled with alien ornamentals and its sustainable storm water facilities continue to be filled with them too. Portland has many LEED-rated buildings, but native plants are rare in their landscapes as well. And yet this Comprehensive Plan foresees far more landscape integrated into our built environment. It is critical to get the policy right and work with landscape architectural professionals and their schools so that we’ll have people competent to implement the policy. I’ll have more comments on other sections of Working Draft 1, but for now I want to go out and promote this exciting document and get YOU to comment too! Thanks for doing such a great job on so many fronts, Portland planners! This entry was posted in Alien ornamentals, Biodiversity, Bringing Nature Home, Comprehensive Plan, Ecosystem Services, Green Building, Habitat, Land Use Planning, Sustainability, Sustainable Urbanism, The Nature Principle, Trends and tagged biodiversity corridors, comprehensive planning, Doug Tallamy, Ecosystem Services, green streets, Greening the built environment, habitat connections, native vegetation, Neighborhood Greenways, redevelopment, Richard Louv, Sustainability, sustainable urbanism, walkable neighborhoods on February 7, 2013 by Mary Vogel. I am proud to live in such a livable city as Portland. Thanks for your attention to this. Reblogged this on What We Truly Need in a World of Want. Thanks for your comment and for your re-blog. 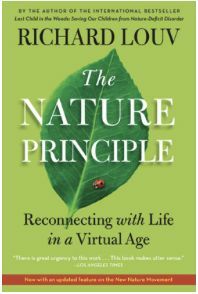 Many people don’t realize how much nature can help us if we cooperate with her. It’s all the more important in a time of budget cuts (though I’d be the last to accept this imposed austerity). The draft Portland Comp Plan is a start in the right direction. Thanks for helping get the word out.